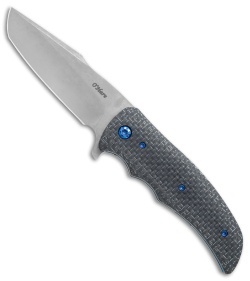 This O'Hare Knives custom Rogue is made with premium materials that set it apart from the crowd. 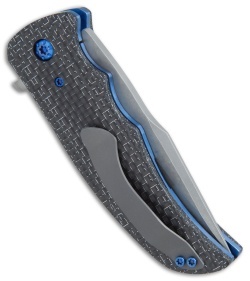 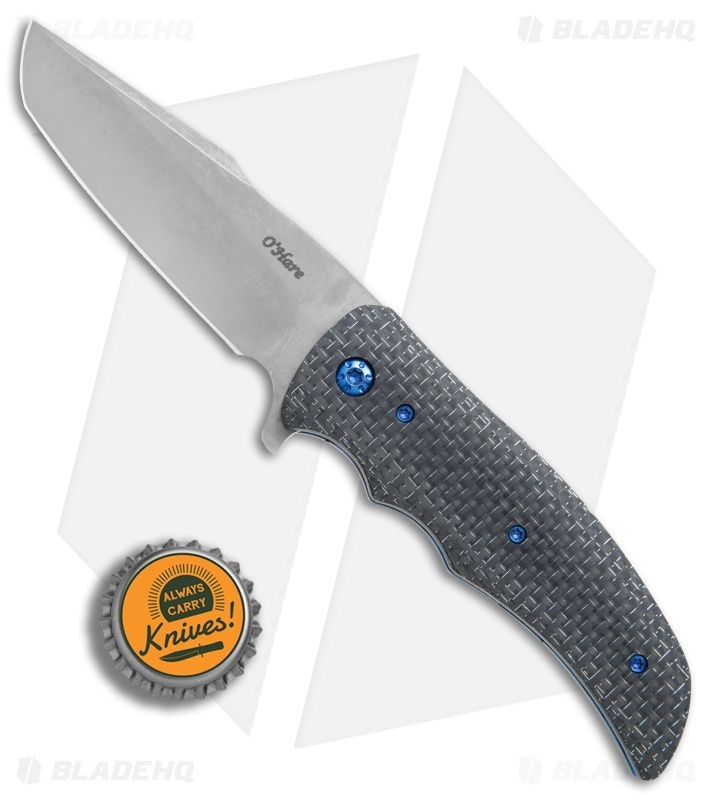 It sports a CTS-XHP tanto blade with smooth flipping action, resulting in solid lockup on a blue anodized titanium liner lock. 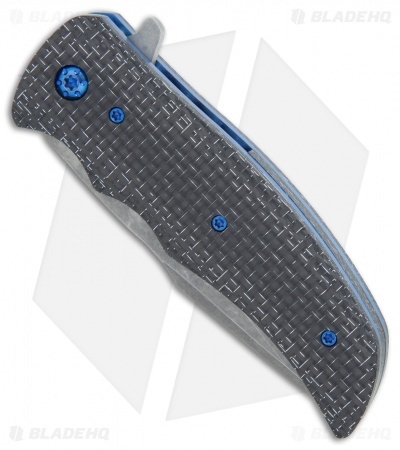 The handle is fitted with silver lightning strike carbon fiber scales alongside a matching silver LSCF backspacer, and a slim titanium pocket clip. Comes in a padded zipper pouch.